Capitalizing on the long established track record of organizing highly successful large scale maritime conferences in major industry centers around the world, Capital Link Singapore Maritime Forum will take place on Tuesday, April 24, 2018 at the Westin Hotel, in Singapore, in partnership with Columbia Shipmanagement and Singhai Marine Services. The event will be held in conjunction with the Singapore Maritime Week. The Forum aims to highlight the significant role of Singapore as the gateway to Asia and the global shipping markets. 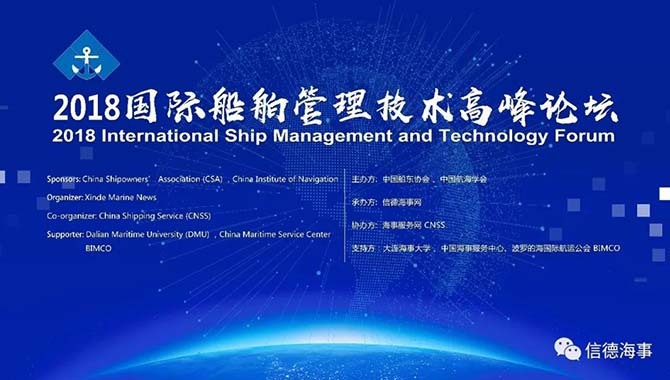 It will discuss the developments and trends in the energy, commodities, the various shipping sectors, the global financial and capital markets, as well as issues pertaining to regulatory developments, technical and commercial fleet management. The Forum will highlight the competitive positioning and advantages of Singapore as a maritime hub. The majority of the speakers and panelists are experts and top decision makers from global organizations. They come to Singapore prepared to address critical topics of interest to the industry and to interact with high level executives from the shipping, shipbuilding and finance communities. As such, attendees of the Capital Link Singapore Maritime Forum can expect a high level of rich industry information and unique networking opportunities with key maritime industry players, including influential members from shipowners, investment and commercial banks, financial leasing companies as well as global traders of major dry bulk and energy commodities in one event. Current Developments - Outlook & The Role of Asia. A discussion among leading industry participants on the major regulations that will be in effect in the near future and their potential transformational impact on the industry. The panel will focus mainly on environmental compliance but will also touch upon broader topics such as technological innovation and operational efficiency. The Global Shipping, Commodities & Energy Markets. Shipping is affected by developments in the global commodity and energy markets. The panel will discuss cargo and trading flows, the role of Asia in global trading and the impact on shipping. Private & Public Partnership Moving Shipping Forward. Singapore has become a major hub for the global shipping industry, a gateway to the Asian and world markets for shipping, commodities and finance. A partnership and close cooperation among government, unions, shipowners and shipmanagers moves the industry forward. The panel will discuss the factors behind this success and what lies ahead. Financial Leasing has become a dominant form of ship finance for the Asian & International Shipping Industry. The panel will discuss the outlook for further growth with new market entrants and players, where new capital can come from, what types of deals and owners can quality for leasing and joint ventures between leasing firms & cargo owners. It will also discuss the various financial leasing options available throughout Asia and the experience of shipping companies who have used them. - Banks have been the traditional source of finance for the shipping industry - how major shipping banks deal with new regulatory and market challenges. - Is the bank finance market shrinking or growing? Is new capital available for the industry? Who can qualify for bank finance and at what cost and terms? - Are there sources of capital beyond bank finance & financial leasing? · “The Future of Shipping” - A roundtable discussion among industry leaders. A high-level discussion on the evolution of the shipping industry, the main industry drivers, opportunities and challenges for the shipping industry across the board. Shipping markets outlook, energy and commodity flows, investment opportunities, access to capital, the impact of technology, operational and regulatory challenges and more. Founded in 1995, Capital Link is a New York based investor relations, financial communications and advisory firm with a strategic focus on the maritime, commodities and energy sectors, MLPs, as well as Closed-End Funds and ETFs. Based in New York City, Capital Link has presence in London, Athens & Oslo. Capital Link is a member of the Baltic Exchange and works very closely with the New York Stock Exchange, NASDAQ and the London Stock Exchange as well as with major international and supranational organizations and industry associations in the areas of the firm's strategic concentration. Our proactive approach, which integrates Investor Relations, Information Technology and Media, enhances awareness and branding for our clients through tailored outreach programs targeting analysts, institutional and individual investors and the financial media complemented by extensive and uniquely powerful marketing platforms. Capital Link offers a full suite of services including strategic and corporate advisory, investor relations, media relations, public and industry relations and the organization of corporate events. Capital Link is also known for the organization of large scale, high quality Investment Forums focusing on maritime transportation and U.S. investment products in key industry centers, such as New York, London, Athens, Limassol, Shanghai and Singapore. We organize twelve to fourteen conferences annually, of which seven are focused on the maritime sector. The Capital Link Investment Forums feature industry leaders and draw the elite of the global financial and investment communities. The Capital Link brand is widely-recognized and valued worldwide by participants in these communities for combining rich informational and educational content with as well as superior networking opportunities. In addition to conferences, Capital Link organizes Webinars focusing on investment strategies, sectors, critical topics of interest to the investment community and company presentations. Capital Link's global marketing platform enhances the visibility and reach of these events on a global scale that lasts well beyond the date on which each event is held, becoming a continuous reference point for market participants. Capital Link’s efforts have been recognized by the 2011 Lloyds’s List Greek Shipping Awards, in 2012 and 2013 by the InterContinental Finance Magazine and in 2016 by the Wealth & Finance Magazine, Also, by the International Propeller Club of the United States and AHI-American Hellenic Institute.